Custom-Solid ICF-5200sf Home on 6 Acres + Shop & Pool! 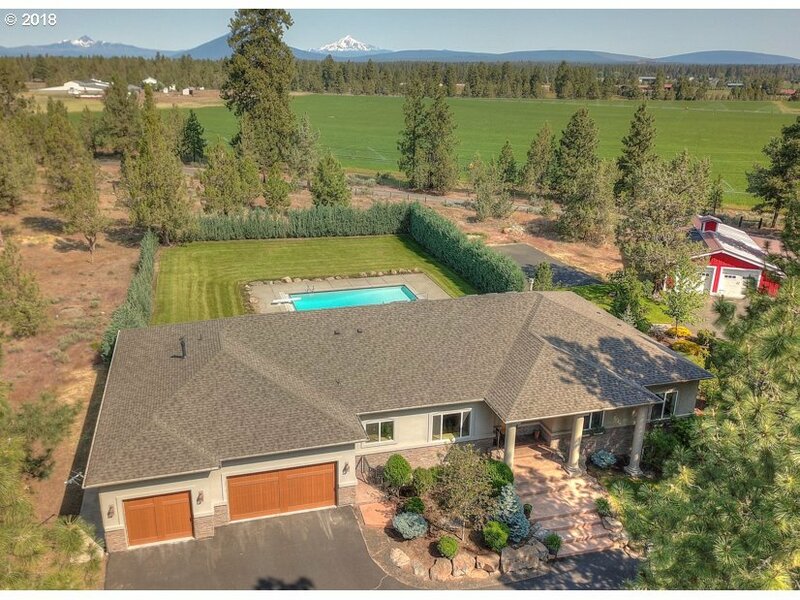 Incredible 5Bd/4.5Ba 2006 built w/stone fascia, radiant heat, 10'' walls w/Venetian plaster, 10'ceilings, solid knotty-alder doors, great room w/gas FP, open dining/kitchen w/slab granite, island/B-Bar, SS appl, Mt. 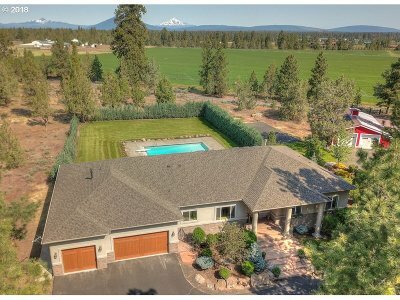 Jefferson view, Master w/pvt office/nursery, dbl stone vanity, soak tub + dbl tiled shower, huge family/media room w/9' ceiling, full wet bar, and a work-out room.